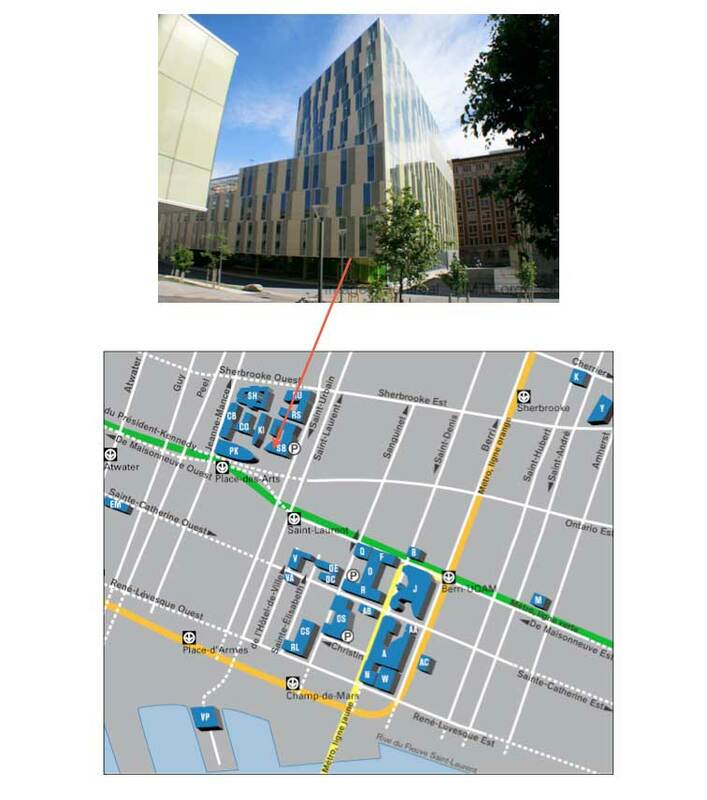 Alethia is located downtown Montreal on the 5th floor of the UQAM biological science pavilion on Président-Kennedy avenue, between Jeanne-Mance and St Urbain streets. We are at the Place des-Arts/UQAM métro stop. Alethia is located in the SB pavilion of UQAM. Rental companies have offices at Montréal-Trudeau located on the ground level of the multi-level parking. The Société de transport de Montréal (STM) runs an express bus line (“747”) between the airport and downtown. The 747 line is in service 24 hours a day, 7 days a week. The trip between Montréal-Trudeau Airport and the Montréal bus terminal at Berri-UQAM metro station takes approximately 35 minutes outside of rush hour. The service stops at Lionel-Groulx metro station, and along Boulevard René-Lévesque at Guy, Drummond, Peel, Mansfield, Union, Jeanne-Mance, de l’Hôtel-de-ville, and Saint-Laurent. At the airport, tickets are sold at the International Currency Exchange (ICE) counter on the international arrivals level and are priced at $8 for a one-way trip.